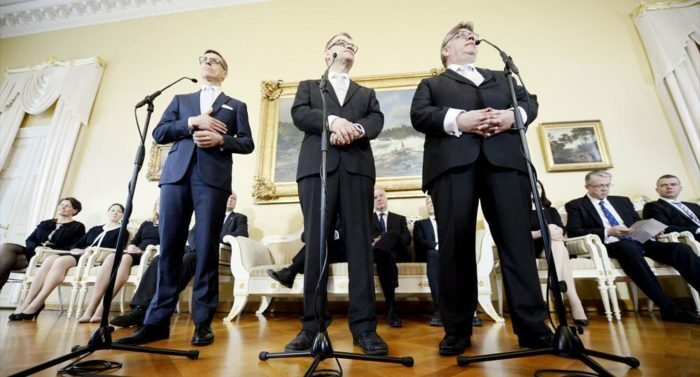 Passing the torch: Former prime minister Alexander Stubb (left) now dons the mantle of finance minister, while Juha Sipilä takes over as the new head of the government. Political reporter Unto Hämäläinen of Finland’s largest daily, Helsingin Sanomat, predicts what the country’s new government coalition may or may not accomplish. 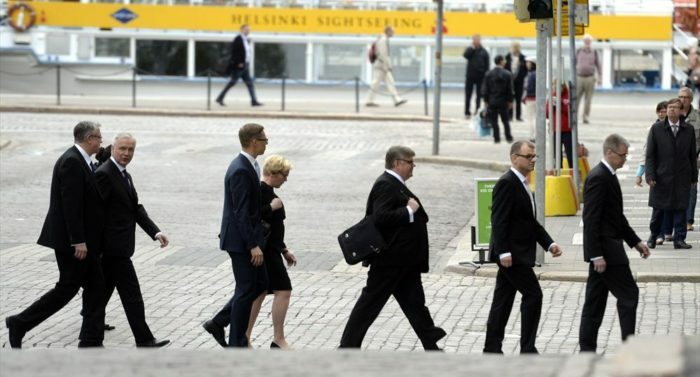 Finland’s main political parties started to discuss the formation of a new government immediately after the parliamentary elections on April 19. The new tripartite government finally named on May 29 has been formed by the three parties from the centre and right wing of the political spectrum who gained the most seats in the election: the conservative Centre Party, the populist “Finns” Party, and the moderate conservative National Coalition Party. The Centre Party and the National Coalition Party are long established parties who have often been in government. The “Finns,” contrastingly, are entering a governing coalition for the first time. 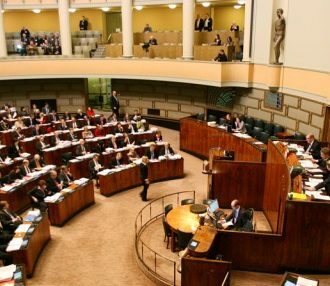 The government will enjoy a strong majority, with its parties holding 124 of the 200 seats in Finland’s parliament. 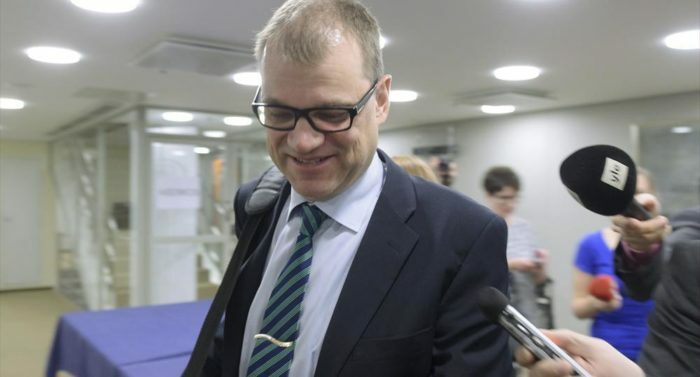 The new prime minister is the Centre Party’s chairman, Juha Sipilä, a first-timer in government. 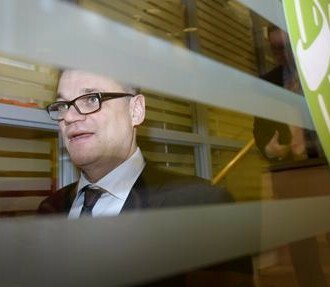 Sipilä, 54, first became a member of parliament in 2011, and was chosen to lead his party a year later. Before entering politics he set up a successful business and went on to serve as CEO at a major IT company. The Centre Party were the big winners of the election, increasing their share of parliamentary seats from 35 to 49. The party had been in opposition since losing 16 seats in a dramatic election defeat in 2011. 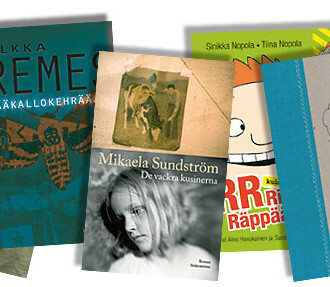 The Centre Party’s main partners in opposition for the last four years were the “Finns,” who had increased their share of the vote more than any other party back in 2011, when they won 39 seats compared to just 5 in the previous parliament in an exceptional performance that rewrote Finnish electoral history. The “Finns” nevertheless chose to remain in opposition in 2011, after vehemently opposing the provision of support to Greece and Portugal by Finland and the other Eurogroup countries. The “Finns” maintained their popularity in this spring’s election, winning 38 seats. Timo Soini, who has led the party for the last 18 years, is Finland’s new minister for foreign affairs. The third party in the new government, the National Coalition Party, had been the largest party in the previous parliament and government. But this spring they suffered a bitter defeat, losing seven seats and ending up with 37. 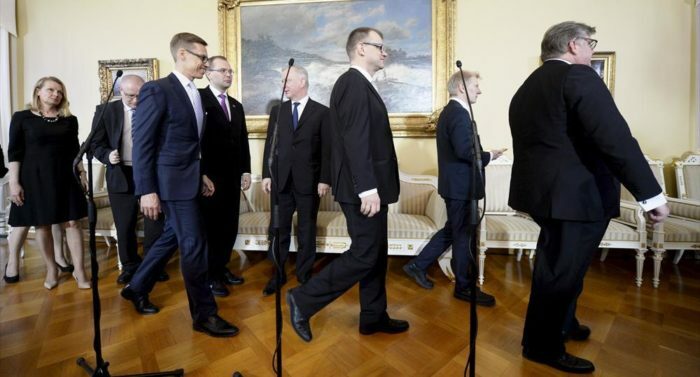 In spite of this setback, the party will remain in the new government, with party leader Alexander Stubb demoted from prime minister to minister of finance. Mr Sipilä’s government aims to emphasise continuity in its foreign and security policies. Finland will remain officially non-aligned, but wishes to hang on to the option to apply for NATO membership at a later date. Military cooperation with Sweden will be enhanced. 1) The European Union must focus on the most essential issues; it is not necessary to deepen integration in all policy areas. 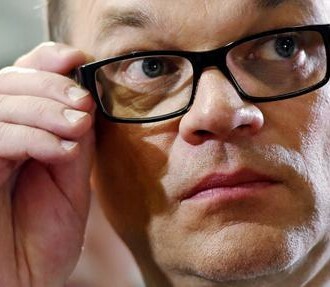 2) The Government is opposed to increasing Finland’s liabilities in handling the euro crisis. 3) The EU is an important security community for Finland. Finland supports the strengthening of the EU’s Common Security and Defence Policy and the reform of the Union’s Security Strategy. In the middle of the negotiations to form the new government, Finland received bad news from the EU Commission, whose forecasts indicate that Finland’s economy is likely to grow next year by just one percent, while the growth rate in the Eurozone as a whole is expected to be 1.9%. Investments are meanwhile declining in Finland for the fourth year running. The Commission believes that Finland will no longer be able to comply with the debt and the deficit criterion of the Stability and Growth Pact. The budget deficit is expected to exceed the 3% threshold, while national debt may soon exceed 60% of gross national product. The new government aims to shake up public sector finances with a heavy hand. Savings amounting to four billion euros have already been lined up, with cuts coming in all parts of the public sector except defence. Significant savings are particularly envisaged in social and health services, education and business subsidies. On top of these savings the government is threatening to make cuts of a further 1.5 billion euros if the trade unions do not agree to sign up to a new social contract this summer. The government hopes to persuade the unions to agree to longer working hours without pay rises, which in practice means reduced pay rates. 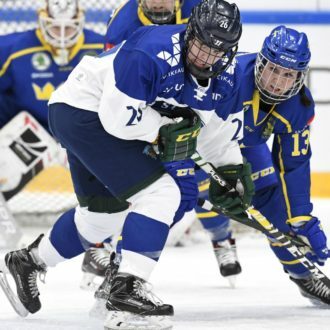 According to a government estimate, Finland’s competitiveness has weakened by 10–15% compared to major competing countries, making Finnish products less attractive in markets around the world. The unions have accused the government of blackmail – and their views have been backed by the “red-green” opposition bloc in parliament, which includes the Social Democrats, the Left Alliance and the Greens. During the government-shaping negotiations the Social Democrats’ chairman Antti Rinne, who had been minister of finance in the previous government, accused Juha Sipilä’s government of endangering social stability by threatening to target families, students, pensioners and the unemployed with hefty cuts if the unions do not agree to lower pay or longer hours. The Greens’ chairman Ville Niinistö, who served as minister of the environment in the last government, and Left Alliance chairman Paavo Arhinmäki, former minister of culture and sport, criticised the parties in the new government for failing to meet promises made during their election campaigns. Before the election all of the parties pledged they would not cut spending on education. But such cuts now lie ahead. 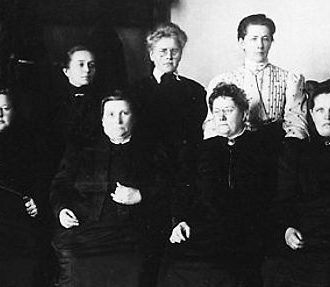 Finland’s economic woes have also attracted the attention of academics. 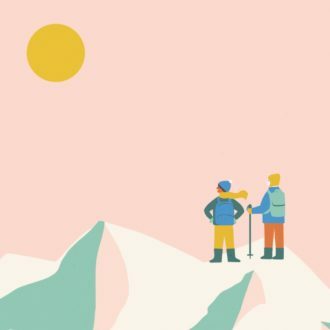 The American Nobel-laureate economist Paul Krugman recently wrote two blog posts assessing the Finnish economy, published in the New York Times at the end of May and in early June. Krugman puts the main blame for Finland’s poor economic performance on the euro’s position as a shared currency. The euro has become a straightjacket that stops Finland from restoring its competitiveness by devaluing its own currency. Krugman recalls how during the slump of the early 1990s Finland devalued the mark and managed to rapidly enhance competitiveness. But because Finland no longer has its own currency, the only way to restore competitiveness today is through internal devaluation achieved by reducing pay rates, he forecasts. The new government will most likely endure a rough ride through its first summer in office. The goal is to have a new social contract signed by August 21. At the time of writing, in early June, it feels as if building such an agreement will be very difficult.